Graham Cockerell from Lions Club Pakenham and Dandenong Ranges Community Bank Group director Shane Miller. The Dandenong Ranges’ community banks are chipping in $5000 for drought relief. 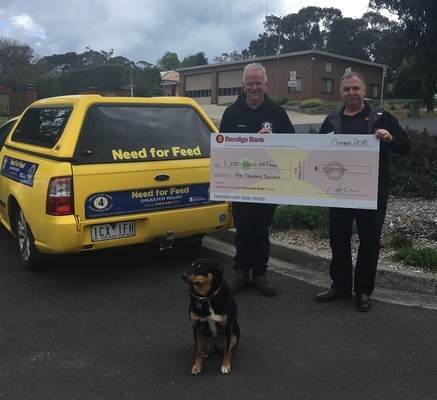 Dandenong Ranges Community Finance Limited – the company that operates Upwey, Belgrave and Cockatoo/Gembrook Community Bank branches – donated to the Need for Feed Disaster Relief project of Lions Clubs. Group chairman John Waters announced the donation along with plans to collect toiletries for families in need at each of the company’s three branches. 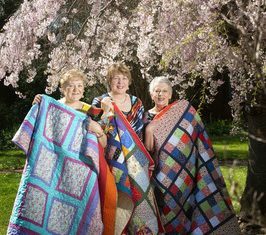 “We are grateful to the Lions Clubs for the outstanding work that they do supporting rural families with feed for their stock and other essentials,” he said. Donations will be accepted at the Community Bank branches in Upwey, Belgrave and Cockatoo until the end of December. Items such as toilet paper, toothpaste, toothbrushes, sanitary products, shampoo, conditioner, soap and shaving supplies can be donated. Only new items should be dropped off to the branches and no food items will be accepted. Graham Cockerell from the Lions Club of Pakenham, Need for Feed Drought Relief Appeal organiser, said the funds were appreciated. “Care packs and gift cards are a good way of showing those suffering that we care,” he said.